Can’t you tell from this photo how tasty these waffles are? My family loves waffle night. If we haven’t had waffles in a good while, my daughter Amalia will offer to make them, knowing that if I get a night off from being head cook, I’ll agree to nearly anything. But it’s not hard to agree to having hot waffles with fruit and sausages served to me as if I’m a queen. A lucky queen who is served waffles with a secret ingredient that really does make them irresistible. Queen Mom! And you know, every Queen I’ve ever known personally (ahem) enjoys some exceptional waffles for breakfast, too. 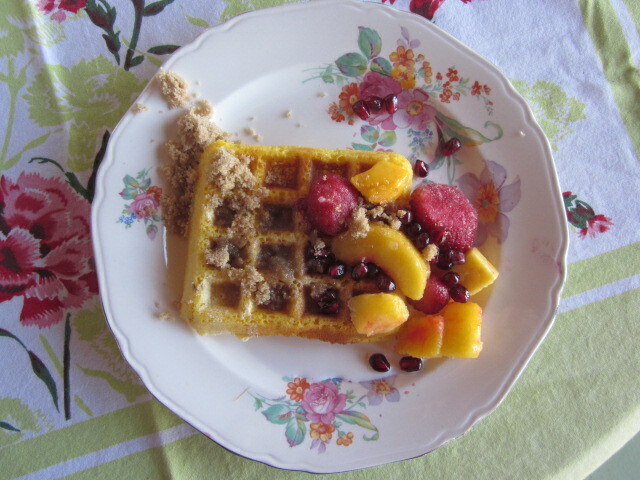 This is the time of year when hot breakfasts are really appreciated at our house, and some crispy-edged waffles, served hot with berries, brown sugar and cream . . . oh my . . . hot breakfasts just don’t get much better than that! And you. You, my lucky Gentle Reader, get the secret from me completely free of charge because I love you and appreciate your slogging along with me week after week as I find my feet with this blog of mine. It wouldn’t be any fun to post all this drivel if nobody ever read it, you see, so I’m grateful, and here goes. Here’s a close-up to further persuade you. Yummm! 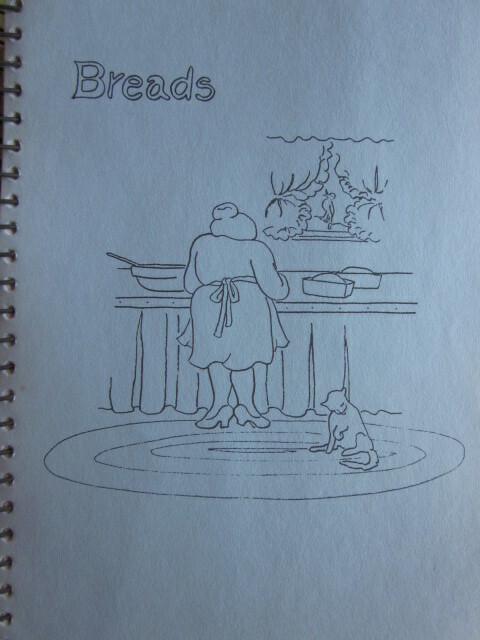 I’ll start with a few pictures of this old cookbook, first, because I love it and I like to share things I love with you. 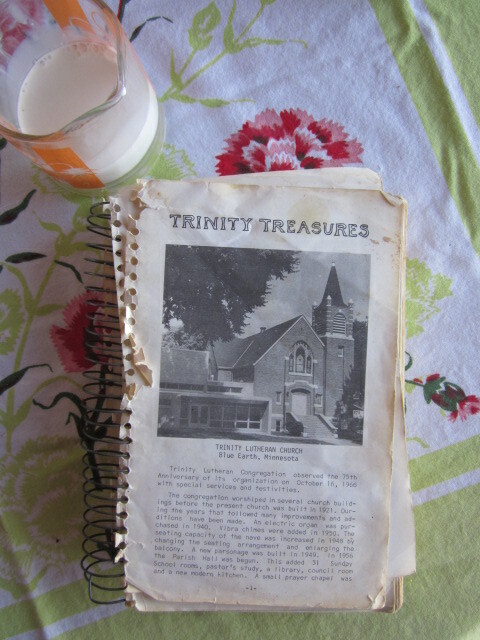 Here’s one of my favorite cookbooks: “Trinity Treasures” sans the cover! These are my remarkable cousins from Minnesota, drawn by their mother, my talented Aunt Maria: Michael, Lisa, Hanns, Sarah, and Conrad. I always loved to look at these drawings when I was a little girl, and was sorely tempted to color them in. And here is my little Swedish grandma, working in her kitchen, with her cat nearby. I own several of these church cookbooks in my collection, and it always tickles me to read through them. You know that these church ladies pulled out their favorite recipes to add to the collection. Most of them look very special and unique. Lots of Norwegians and Swedish ladies contributed to this one: look! 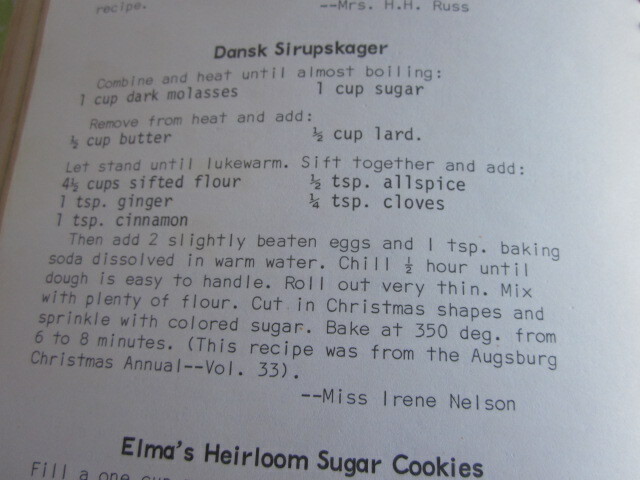 A recipe for “Dansk Sirupskager”! I enjoy reading through these old recipes, which were the favorites of all these housewives at the time. Where else but in these old church cookbooks can you find recipes for the foods from the “old country”? 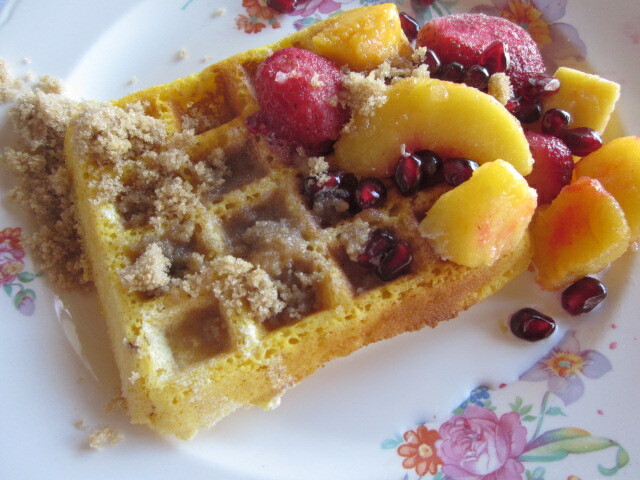 So you've guessed it by now--cornmeal is what makes these waffles so yummy! I also will use white whole wheat flour, and we sprinkle a smattering of seeds on them as they are baking. seed mixture (optional) sesame seeds, sunflower seeds, crushed walnuts, pumpkin seeds, etc. Mix dry ingredients together. Add melted butter, milk, eggs. Beat with electric mixer until batter is smooth. Do not overbeat. Pour on hot greased waffle iron, and (if desired) sprinkle seed mixture on top. Bake until golden brown. Serve with brown sugar and cream, or syrup, or whatever pleases you! There it is! Waffle-night, anybody? P.S. And speaking of The Prairie Homestead (weren’t we?) . . . every Monday, Jill sets up a fun event that you may want to check out, or even (if you’re a blogger, too) participate in! It’s a linking party of sorts, a big countrified barn dance of homesteading-related posts! I’m linking this post up this week right here, and I encourage you to jump on over and check out the other posts there! 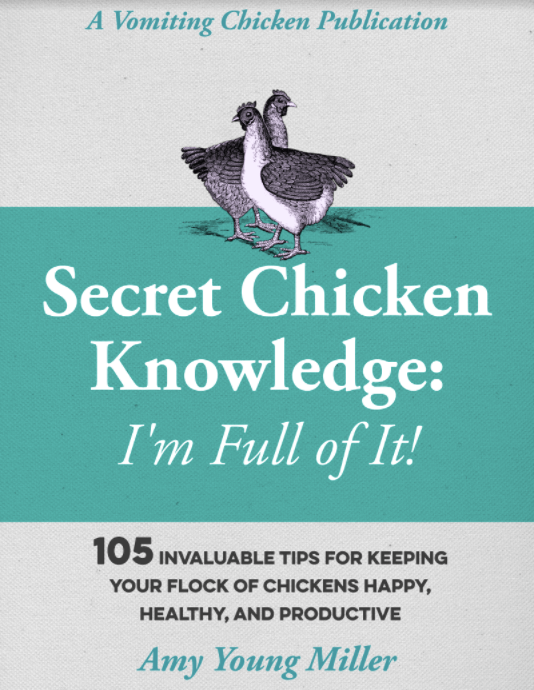 I love that cookbook, too, for the same reasons. And your pictures are divine! 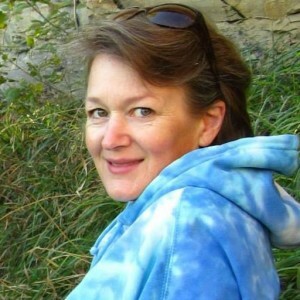 thanks so much, Moll, and thanks for the share today. You’ve got a houseful of sick kids and still are able to do a good deed. Thanks so much! Thanks so much for stopping in. I think I bought my waffle iron at one of those pre-Christmas blowout sales for less than $5.00. We use it lots! Maybe you ought to get one, too. Best wishes! Love your article, great photos and such a fun time for you and your family. To bad I don’t like waffles…lol Hugs Amy! I’m sorry, Vicki, but you don’t like waffles???? Even with whipped cream and strawberries . . .? So what do you serve at your champagne brunches? Maybe you just haven’t tried the RIGHT waffles. These are them. THanks again for stopping by. HUGS back! Well, you do have fish ‘n’ chips, though, Karen. Do they serve waffles or pancakes on the island of Cyprus? Thanks again for checking in with me! That’s a great idea, Chef. 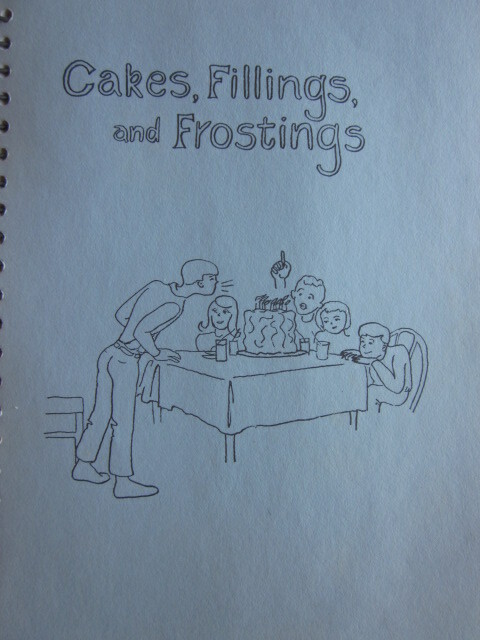 I know that my mom searched online for this very cookbook years ago and found a couple of copies. You perhaps should invite your daughter over for waffles (hint, hint) and ask her to bring the iron? I lost my Trinity cookbook however. I wonder if it’s in my keepsake box, come to think of it. I’ve always loved that picture of Grandma Kuehner at the sink. Oh, Anne, find it! I wish I could find my cover! Amy, I LOVE to make and eat waffles (more eating than making actually)! It’s a staple in our house and I’m always looking for a way to make them creative and tasty. I like the idea of adding brown sugar to top them with. But cornmeal…that’s different. But I also love homemade cornbread too. That’s something I got to make and enjoy as a kid using my mother’s recipe. Yum! Aletha, I’m spoiled to these waffles: I don’t really like ones that don’t have cornmeal in them, actually. They just seem insipid. That cornmeal gives a hearty crunch! that is very satisfying! Best wishes! What a wonderful blog, I love the pictures and the cookbook looks absolutely divine. I don’t have a waffle maker but honestly, having read this blog I am now sorely tempted ! Thanks Anita-Clare, I value your stopping by! Now go–and get that waffle maker! I do enjoy a nice waffle, but I’ve never owned a waffle iron, so I’ve never made them myself. They remain in the province of Sunday brunches out, or the occasional hotel breakfast buffet. I will say, though, that cornmeal seems an odd ingredient. If I ever get myself an iron, I’ll have to give it a try. Mmmmmmmmm they certainly sound delicious. Trouble is if I cooked them, I wuld have to eat them all as I live on my own!! Oh, Lyn, that’s easy: invite somebody special over for brunch! These waffles freeze, well. Thanks so much for reading–blessings to you.